More and more residents from the Knaresborough area are approaching us to supply and install wood burning stoves. The town is four miles from junction 47 of the A1 (M) Motorway (Great North Road), and on the A59 which links York and Wallasey. Knaresborough has its own local weekly newspaper; the Knaresborough Post, although it borrows content heavily from neighbouring publications. We always aim to supply our customers with the widest range of stoves possible, both wood burning and multi-fuel. We have a massive choice of designs, accessories and brands to choose from. We have a range of traditional stoves that look perfect in any traditional cottage, farmhouse or home, which don’t just offer a fantastic focal point but also plenty of warmth for the winter months. Our stoves range extends to modern wood burning stoves that offer sleek designs for more modern buildings such as new builds to apartments. In addition to great style, many of our wood burning stoves offer a much more eco-friendly way to heat your home. A huge draw to wood burning are the environmental benefits. During its lifetime, a tree will roughly absorb the amount of carbon dioxide you would typically expend burning logs in a wood stove. This means that wood burning is considered to be a low carbon option by organisations such as the Energy Saving Trust and provided you purchase wood logs from a reputable supplier, who ensures an investment of new trees to replace those being felled, this type of energy is totally renewable. Located in Leeds, you can find our stove showroom with displays over 4 floors. Here you can view a large selection of the wood burning and multi-fuel stoves that we have available for purchase. We only stock quality stoves from reputable stove manufactures such as Dik Guerts, Stovax, AGA, Aarrow, Hunter, Parkray, Yeoman and Dunsley. This means that you can be assured that when you purchase a stove from us that you are buying a quality, long lasting stove. Many of our wood burning stoves comes with a 3+ manufacturers guarantee that covers the craftsmanship of your stove. 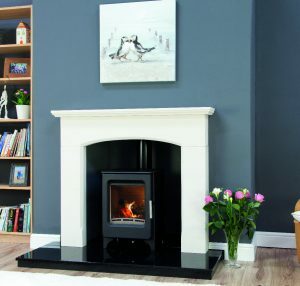 With each brand offering different designs, finishes and styles, we feel that you are certain to find your perfect stove at the Leeds Stove Centre. Furthermore, we also offer a high quality installation service. You must ensure that your stove is installed by a recognised competent person who is appropriately qualified in the installation of stoves and that the installation complies with all local, national and European building regulations. All our installation teams are HETAS qualified and can install stoves, flexible flues and rigid twinwall flues. HETAS registered installers can self-certificate their work thus avoiding the need for costly and time-consuming building notice applications. Please don’t hesitate to contact us on 0113 255 5622 should you have any questions.